There are ongoing discussions right now among social media experts and analysts over a recent patent that was awarded to Facebook. 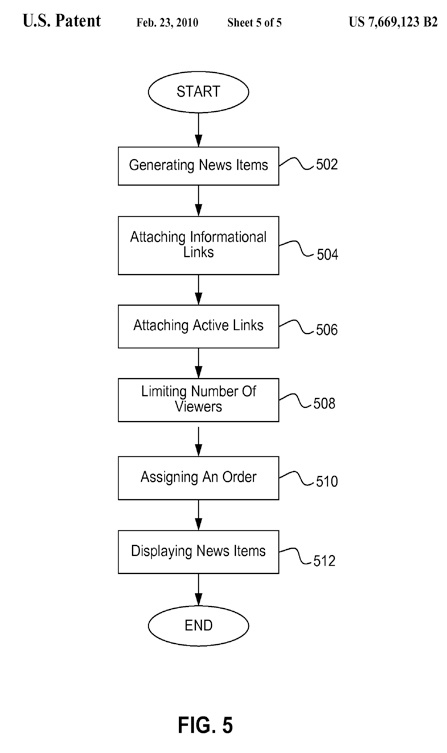 Many analysts are considering this patent crucial in the social media industry. Why? Because Facebook has just been granted the patent for news feeds. Yes, you read it right. Facebook now owns the technology for delivering news feeds. The patent was first discoverd by All Facebook which was filed by Facebook sometime in 2006. Just before other social networks started publishing news feeds as part of their social networking features. While this may seem just another case of patent filing by a major Internet player, the thing is – it is not. This is Facebook, claiming rights to the news feeds which is making other social networks thrive. And what’s causing the commotion is the fact that nobody knows how Facebook is going to use this patent. Will Facebook use it to kill of rival social networking sites? Or will it use the patent to defend itself? Another question is what exactly does Facebook own by getting the patent? Is it the technology that generates the news feeds? Is it the distribution of news feeds? What are the components of these news feeds? Individidual status updates, uploading of contents? 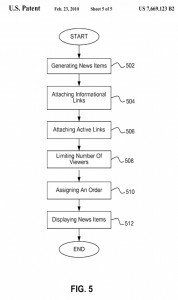 How far Facebook would bring this patent remains to be seen.